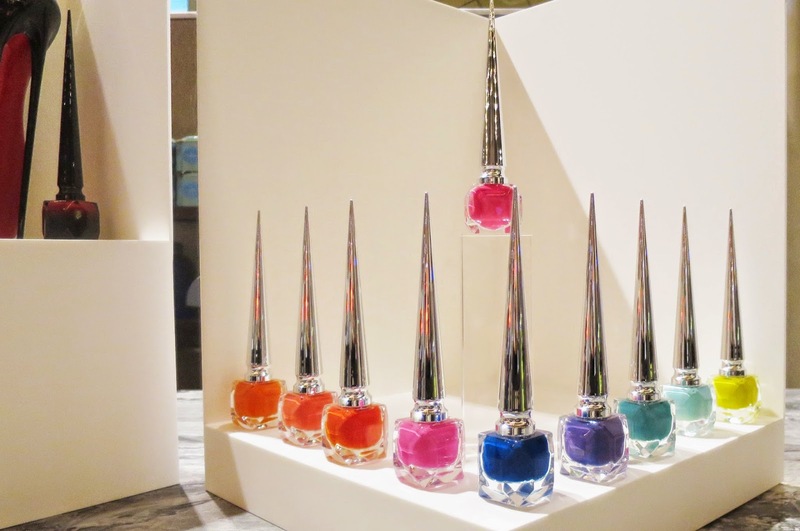 A couple of weeks ago I was invited to attend the launch of the new nail colors by the one and only artissan Christian Louboutin. Lets not forget that the classic red sole is one of the most coveted items in any woman's closet. I believe that now, the one-of-a-kind calligraphy-inspired nail polish bottle, will be the most coveted item on any woman's vanity. The nail polish bottle reminds me of the power woman. Sleek and sophisticated, yet powerful and strong. 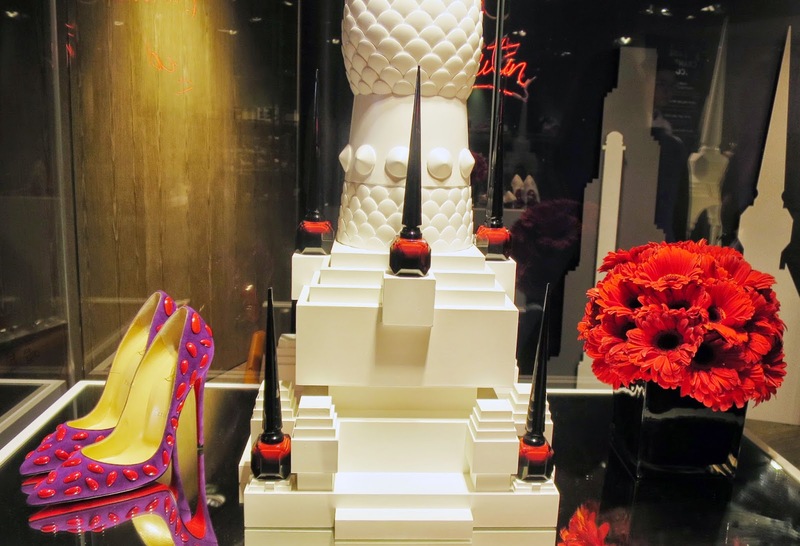 Louboutin definitely took into consideration, not only the form of the product, but the function as well. The remarkably tall cap, inspired by paintbrushes and calligraphy, was designed to enable a firm grip, allowing easier application. And the bottle, inspired by European architecture. 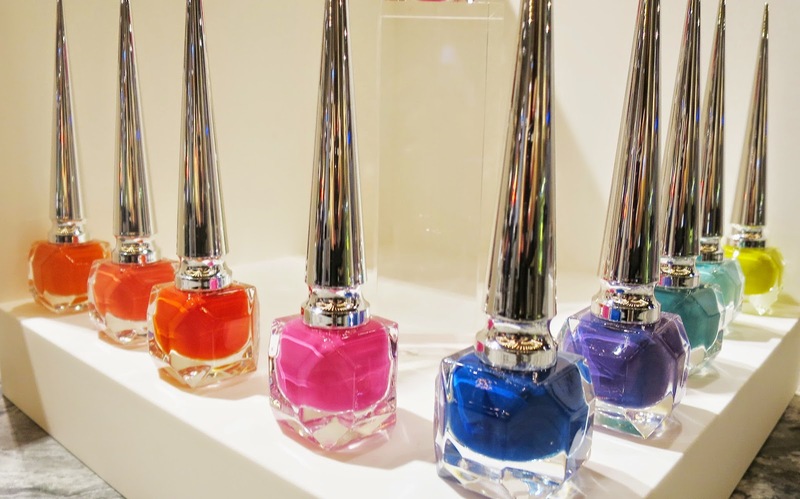 The event was to celebrate the launch of thirty additional colors to Louboutin's nail polish collection, boasting vibrant and playful brights, as well as mysterious, demure darks for fall/winter. 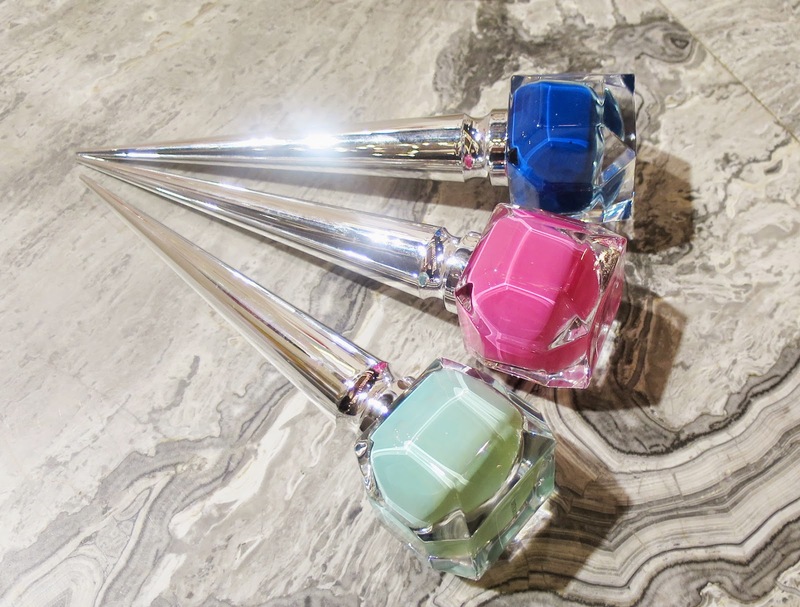 All the colors were inspired by Louboutin's recent and past collections of his shoes and accessories. 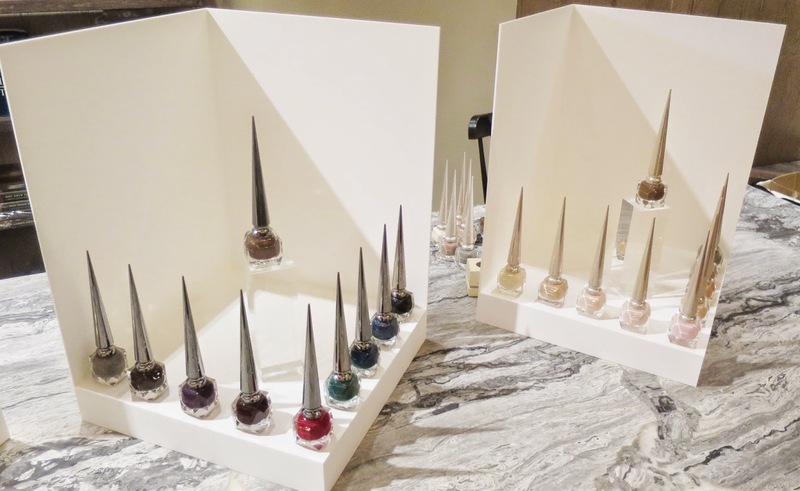 A manicure session was also available to attendees, where we were able to select from designs which the house created in collaboration with renowned nail consultant Madeline Poole. I opted for the classic red and a playful, 'filled half-way' design which I think, was a mixture of playfulness and a slight hint of sensuality. 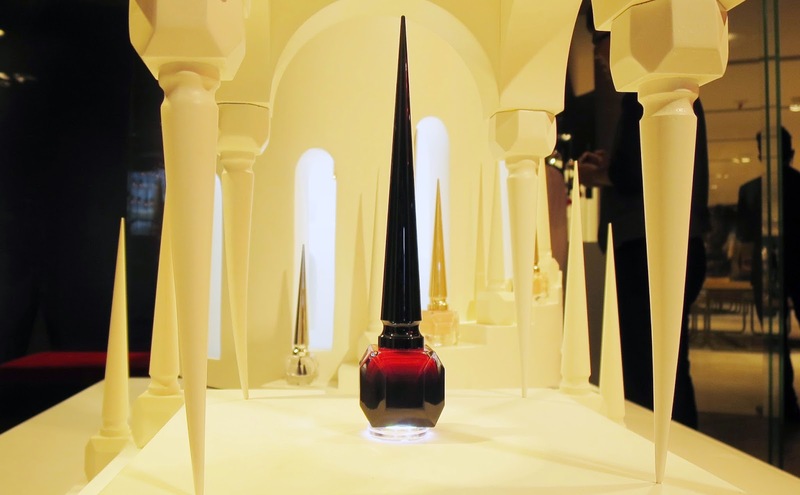 First of all, I love how Louboutin gave careful thought to his Louboutin Beauté collection. 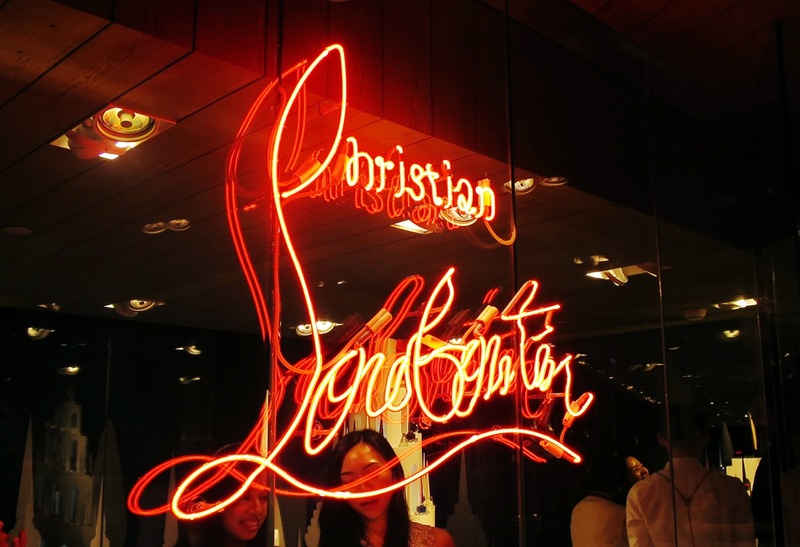 Instead of carelessly jumping on the beauty bandwagon like many fashion houses have done in the past, Louboutin still references forms of art like a true artisan. 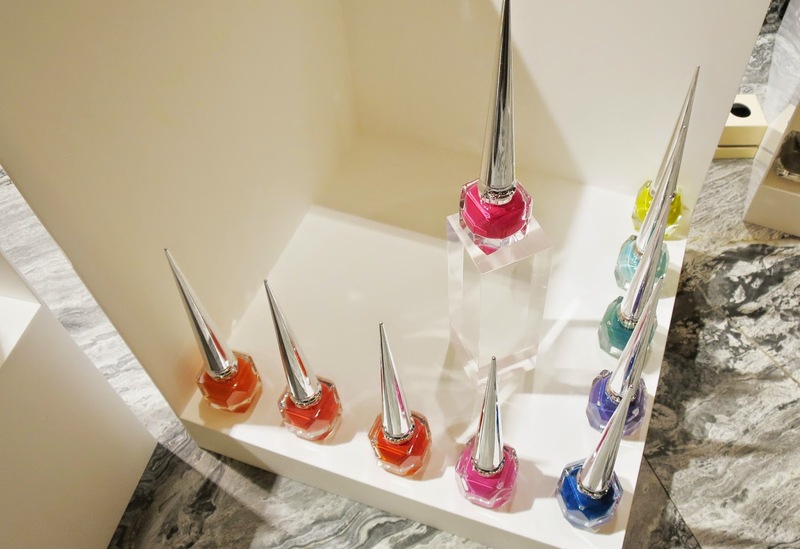 Louboutin intends to paint his paradise Loubiville (an initially white canvas of geography and landscape) with the new nail collection, gradually filling it with color. This is why this was the most exciting fashion-beauty launch of the past few years for me. 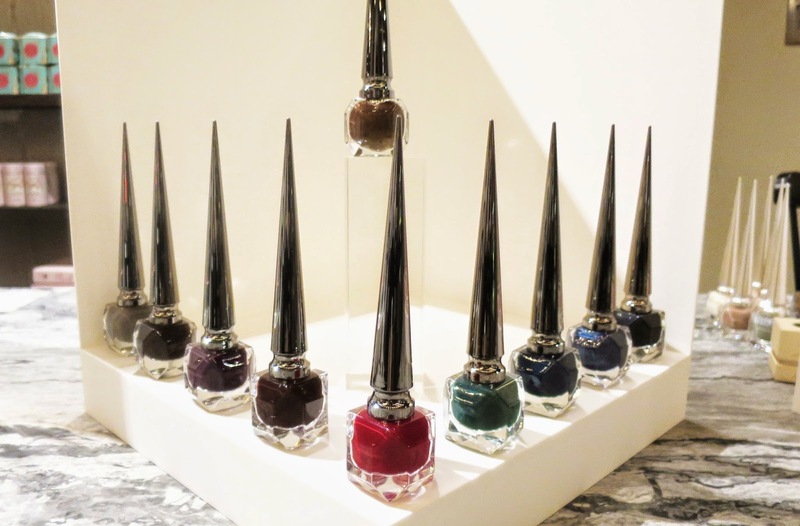 Are any of you planning on picking up any of the Louboutin nail polishes? If so, which color would you go for? Let me know in the comments! All images belong to Bethni.com. All rights reserved.